Stevenson Meterological Screen: Standard size. Owing to the rich industrial experience and expertise in this business, we are involved in providing Meteorological Stevenson Screen. We are looking for queries majorily from Maharashtra, Gujrat and Madhya Pradesh. 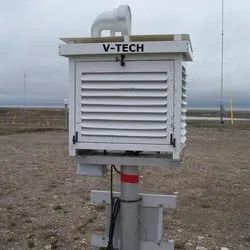 Stevenson screens are manufactured as per IS:5948:1970 and are suitable for housing thermograph, hydrograph, dry and wet bulb, Thermometer and Maximum-Minimum Thermometer. It avoids direct sunlight on Thermometer & also avoids effect of direct wind flow. These screens are manufactured as per IS:5948:1970 and are suitable for housing thermograph, hydrograph, dry and wet bulb, Thermometer and Maximum-Minimum Thermometer. 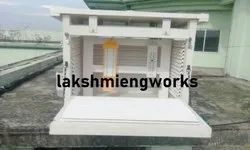 Basically these are manufactured from best quality Indian wood and accurately assembled with side louvers and supplied available in two sizes: Small size and Large size.